The ITBusiness.ca staff has written a great piece on “5 memorable Twitter moments as service turns five,” as well as produced a neat video rewind to celebrate Twitter’s 5th birthday. It is hard to believe that a nerdy social media service that forced people to think in “140 characters or less,” has outlived a lot of its contemporaries like Google Buzz, Jaiku, Plurk and Pownce and created such a vibrant, speedy and robust micro-blogging ecosystem complete with link shortening services and photo and video workarounds. What started out as a rather mundane way for people to share what sandwich they were having for lunch has, for the most part, evolved into the world’s best leveler and given hundreds of millions of users a voice. The culture of celebrity has taken over Twitter as the best way for personalities to stay in touch with their public and for their public to communicate back. Twitter has also made it possible for consumers to whine about poor customer service or unfair business practices and get a quick and public response from companies. Small and large businesses have responded in part by hiring staff to man their Twitter feeds and provide customer service via Twitter. Twitter has also been the best service for taking an “opinion pulse” or crowd source certain topics and ideas. It is also the fastest way to get news. By the time you’ve turned on your TV and fumbled your way to CNN, you could have all the news headlines on display on your Twitter client. The instantaneous nature and hyper-fast speed of disseminating information has been Twitter’s greatest strength. It has also proven to be an indispensable tool for social change helping people organize and keep in touch during the recent calamities in Japan and New Zealand as well as mobilize during the political unrest in Egypt and Libya. On the flip-side, Twitter has also been ground zero for the propagation of hoaxes, spam, morbid death rumours and wholesale trolling and hate messages as well as fake accounts.Then there’s the inevitable outages and “Fail Whales” that let users know the service is overloaded and inaccessible. Twitter has been improving but we feel it is still the Wild West out there with a lot of room for improvement. What are your thoughts about Twitter? Has it been a useful tool or a time waster? We would love to know, in 140 characters, or less. 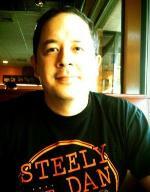 Gadjo Sevilla is a Toronto-based writer who reports on technology and writes reviews on consumer and business gadgets. He is also a blogger and community manager for ITBusiness.ca.